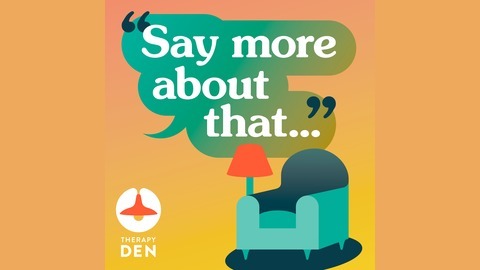 "Say More About That" is a podcast that explores the personal journey of finding a therapist and going to counseling. We'll talk to people about why they wanted to go to therapy, what kind of therapist they were looking for and why. We'll cover why some mental health counselors were really good matches and why other just didn't work. We'll also touch on what they thought therapy was going to be like and if it met their expectations. "Say More About That" also asks our guests if they have advice for therapists to help them be better or more effective counselors. Everything from marketing their services to meeting for the first time to talking about the hard stuff. 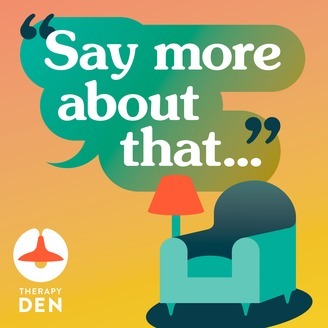 "Say More About That" is a podcast for therapists to hear the perspective of the client journey and also for non-therapists who just want to hear what therapy is like. Here is a statement that should be incredibly non-controversial: All online therapist directories that allow potential clients to filter therapists by gender should include at least three gender options. They should be “Trans/Non-binary”, “Female” and “Male”. The leading online therapist directory, Psychology Today, does not allow people to filter for therapists that are transgender or non-binary. That needs to change. Sign the petition urging them to fix this now. Kathy, a 43 year old woman, strategically addresses her issues with therapy. A 10 year old girl's search for a nice therapist.